We hope you've come here to learn about pomskies and that you've gained some valuable knowledge! However the most valuable knowledge we can offer is regarding choosing a breeder. We do our utmost to be a responsible breeder that our families can trust, but we understand that we may be not be quite what you're looking for. 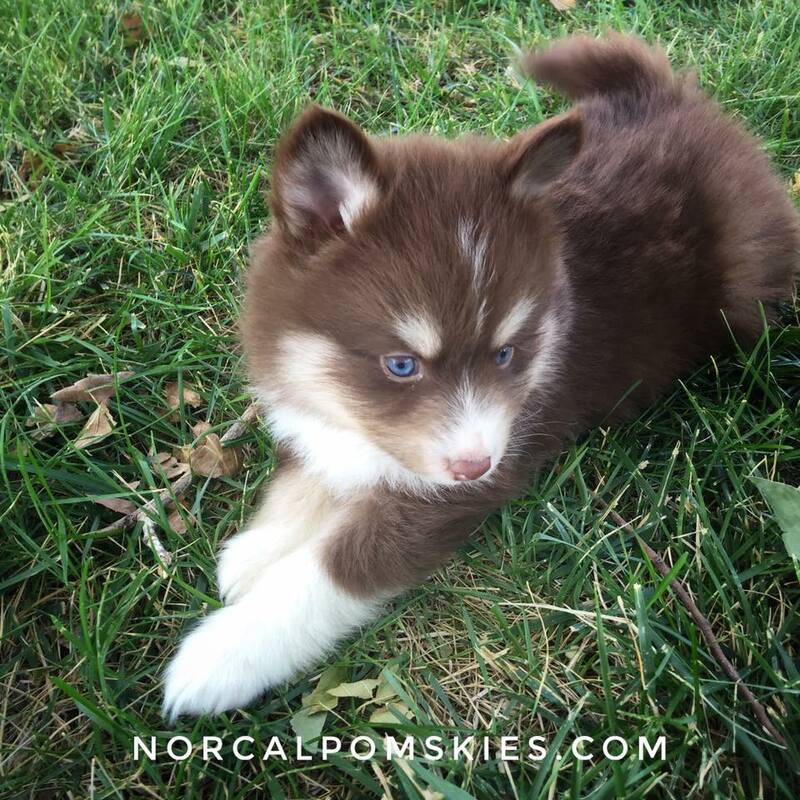 We urge you to do your due diligence when selecting a pomsky breeder. The popularity of pomskies has grown and it seems like there is a new breeder popping up all the time. Unfortunately many of these "breeders" have very little to no practical knowledge on breeding, canine behavior or health. Sadly it appears some people have seen an opportunity to turn a profit and in our opinion, shouldn't be breeding at all. Not to mention the flat out scammers that pose as breeders, but are simply trying to steal from you. The guide below serves as a starting point in selecting a breeder you can trust. We strongly support responsible breeding and responsible ownership. We love pomskies and we want to see this breed thrive and grow. Please support responsible breeders producing healthy, quality dogs and fight against funding those who have no business doing it. * Only breeds dogs that have excellent temperaments. * Screens potential owners thoroughly, and does not sell to those who are unsuitable. A reputable breeder wants to know as much about you, your household, your schedule and your ability to properly care for a puppy (throughout its entire lifetime), as you want to know about the breeder's puppies. * Requires Spay/Neuter contracts on all puppies and will only provide breeding right to those extensively screened and approved as breeders. * Offers new puppy owners guidance and support for the puppy's entire lifetime. * NEVER sells puppies to puppy brokers, pet shops or puppy outlets of any kind. Period. Important Note: Many pet stores and puppy brokers tell prospective puppy buyers that their puppies come from reputable breeders, even though the large majority of these places actually get their puppies from puppy mills and second-rate commercial breeding facilities. The bottom line is: NO reputable breeder will ever sell their puppies to a pet store or puppy broker, and NO pet store or puppy broker will ever admit to getting their puppies from a puppy mill. * Will provide veterinary references and past puppy owner references upon request. * Will provide a written contractual commitment to the health of the puppy. * Will have the Sire and Dam on site, unless a stud service was provided in which case all information about the Stud, including photos, will be provided.